It’s time to think pink and help sick or injured children by supporting SouthPoint Financial Credit Union’s 2019 Chain of Hearts Campaign! This year’s campaign runs from January 15th to February 28th and raises funds for the local non-profit hospitals of the Children’s Miracle Network. We’re asking members, community residents and area businesses to remember the special people in their lives during this Valentine season. Those who donate to the Children’s Miracle Network will have the opportunity to display the names of their loved ones on a heart or a link in each SouthPoint branch. 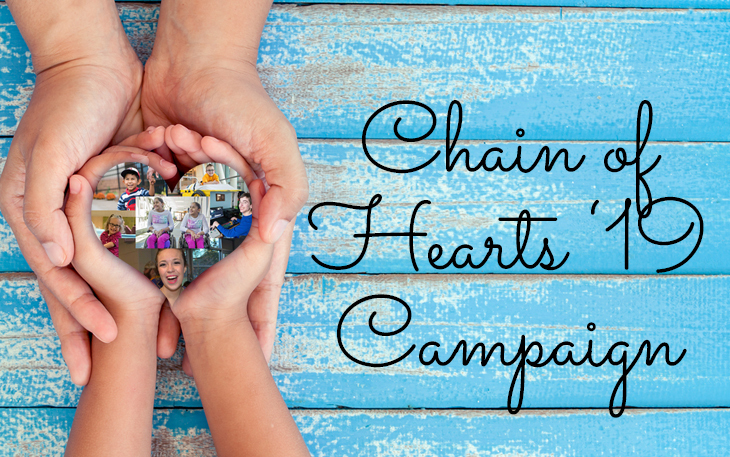 If you would like to donate to SouthPoint’s Chain of Hearts campaign, you can visit any of our six branch locations or donate online if you are currently a member of SouthPoint. About Credit Unions for Kids: As part of the ‘Credit Unions for Kids’ program, credit unions and their trade associations have raised over $100 Million since 1996 in support of the charity. Annually, more than 17 million children receive help through Children’s Miracle Network hospitals. About Children’s Miracle Network Hospitals: CMN Hospitals serve families and treat children with all types of afflictions including cancer, accidents, muscle and heart diseases, AIDS, cystic fibrosis and trauma. Funds provide charity care, special treatment programs, research and equipment, and go to the Children’s Miracle Network affiliated hospital nearest the area where the funds are raised.